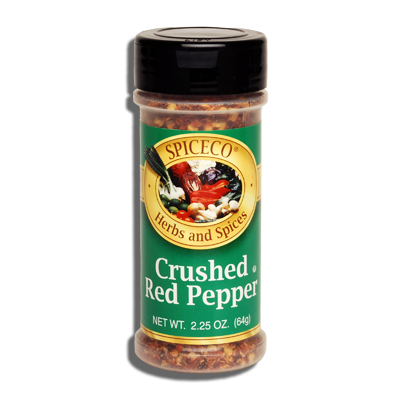 SPICECO, CRUSHED RED PEPPER (SMALL) | Bende Inc.
Spiceco Crushed Red Pepper (small). Use sparingly for a touch of hot taste in stews, casseroles, and most Italian dishes. 2.25 oz (64g).